Allwood Sails use LIROS Magic Pro for tapered halyards and sheets where low stretch is important. Magic Pro is a double braid. It has a polyester cover and LIROS D-Pro dyneema core. The rope is designed for easy tapering. Leave the cover where you handle the rope and strip it, leaving just the core where you don’t touch it. 12m x 6mm LIROS Magic Pro for a 16 foot skiff jib sheet. 8mm for $14 per metre. This is obviously not the cheapest rope around. So if you do not intend to taper the rope or otherwise need the low stretch characteristics of the dyneema core, then I suggest you consider whether a cheaper polyester or polypropylene rope will suite your needs. For example, this is great stuff for a 505 or Flying Dutchman spinnaker sheet which doubles as a brace where stretch is critical and a tapered rope is very nice. However on my 12 foot skiff spinnaker sheet I use LIROS Nautic which I sell for $1 per metre. Archie Massey and Dan Wilsdon, the current I14 world champions also use this light, economical option which floats and does not absorb water. Great stuff. 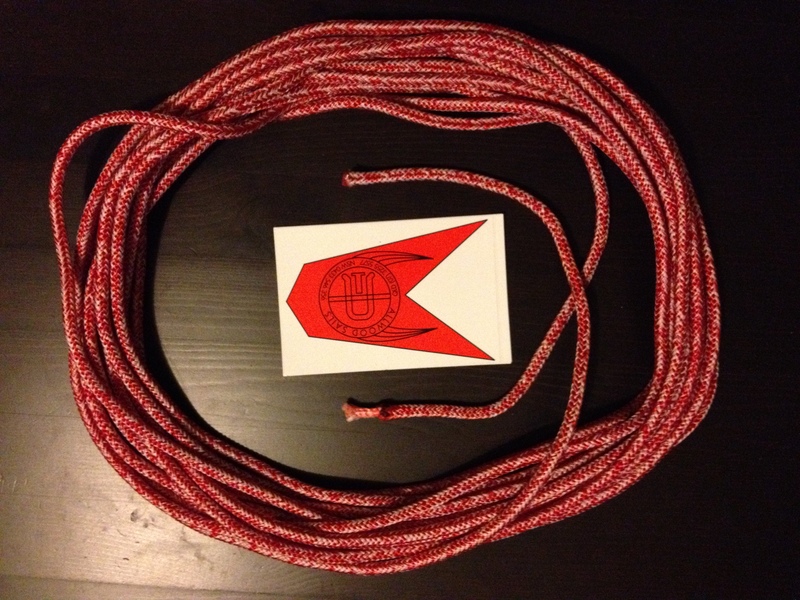 Please email me or call me outside business hours if you would like to buy custom tapered ropes, rope by the metre or a discounted 100 metre roll. I am happy to discuss the options and recommend rope for your needs, particularly for skiffs and dinghies. I can also give a few tips on minimising costs if you are keen on making your own tapered halyards. Email: cam@allwoodsails.com or Phone: 0433 546 356 (outside office hours). LIROS D-Pro is the core of the Magic Pro ropes. It is high strength, low stretch and readily spliced. LIROS Magic Pro is great for splicing tapered halyards, tack lines, sheets and control lines. It is strong, low stretch and has good handling properties.